Sun, chlorine, hot water, mineral deposits, and poorly formulated haircare products are all enemies of haircolor. Fight back! Shampooing with a professional color maintenance shampoo in cool water is the first step to long lasting color. Follow with a moisture rich conditioner to keep hair hydrated and healthy. If your hair is overly processed, ask your hair professional which reconstructive treatment is right for you. Avoid chlorinated pools and hot tubs that leech hair of moisture and color. Sea salts strip away natural oils, leaving hair vulnerable to UV rays that attack color and shine. Use a hydrating leave-in conditioner with sunscreen and wear a hat to prevent premature fade-out. Mineral deposits and hard water can make your hair look dull and lifeless. 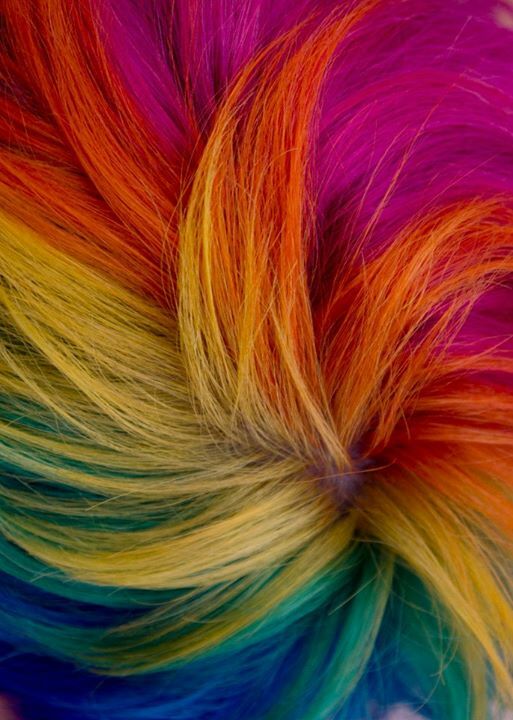 Before a hair color service, ask your color specialist about a clarifying treatment to release the build-up that blocks color molecules from penetrating, making your hair shiny and beautiful. A clear gloss after a color service acts as a topcoat on your hair, locking in pigments and keeping your hair lustrous and vibrant. Using a drug store box color is asking for trouble! Color correction is far more expensive than having a trusted stylist maintain your haircolor. It’s really very easy to keep your color brilliant and beautiful with the right knowledge! Your hair is out of control, you’ve tried everything, and you’re at your wit’s end. You are fed up with the frizzing, the fraying, the splitting, and the snagging. The following tips will save your life… well, at least your hair’s life! Conquering frizz is not as hard as it seems with the right products, commitment, and attitude! Regular trims are crucial to keeping your hair sleek and healthy. Your hair will not become those long beautiful goddess locks if the ends are constantly breaking. Find a trusty stylist that knows what an inch means (or two if necessary!). They will respect your desire to grow out your hair if you are willing to compromise a little. If your ends are splitting, your hair is frizzing! Curly hair tends to dry out faster than straight hair, causing a frizzy, flyaway mess. Shampoo only 2-3 times a week with a professional hydrating shampoo. A moisture rich smoothing conditioner will keep hair from drying out, splitting, and frizzing. Your final rinse should be with cool water. Hot water raises the outer most layer of your hair, causing a velcro effect. Cool water locks down the cuticle, therefore locking in moisture, while creating shine and control. When drying, don’t rub or twist. Instead, blot with a soft terry cloth towel. Wrapping your hair up in a towel and plopping it on top of your head is just asking for a bad hair day! Ask your stylist what the best frizz-fighting products are for you. When applying hair product, do so when the hair is still damp. If parts of it are starting to dry and frizz, spray with water and apply in sections. Comb through with a wide tooth comb to evenly distribute the product and smooth out any tangles. If you opt for the air-dry method, do not touch your hair until it is completely dry. Running your fingers through it while damp will separate curls, causing static and frizz. If you choose the blow dry method, section and apply a stylist recommended straightening gel. Use a ceramic thermal brush to smooth and dry. When it is completely dry, a silicone based, humidity resistant serum applied to mid-shaft and ends before straightening will seal in moisture, protect from heat, and keep you frizz free so you and your curls can take on the world! destiney on Long Live Your Haircolor!